The pace will continue to be slower than it was the first year. For awhile it's been about one post per month, but peering into my crystal ball, I can't promise you even that in future. *sneezes* I would rather the posts be infrequent but of good quality than let the blog degenerate into a stream of trivia for trivia's sake. Don't worry; there are still many stories to tell. *sneezes again* Even as I type, I've got two or three posts in the can or getting there. speeches but for a fresh slice of juicy Mansionology, here's a light snack to hold you over till dinner. I blush to point out something that never really occurred to me until recently but which no doubt was immediately self-evident to many of you. On the chance that other Forgottenistas have also overlooked it, let me point out that WE represent that circle. Once you notice it, it's ridiculously obvious. 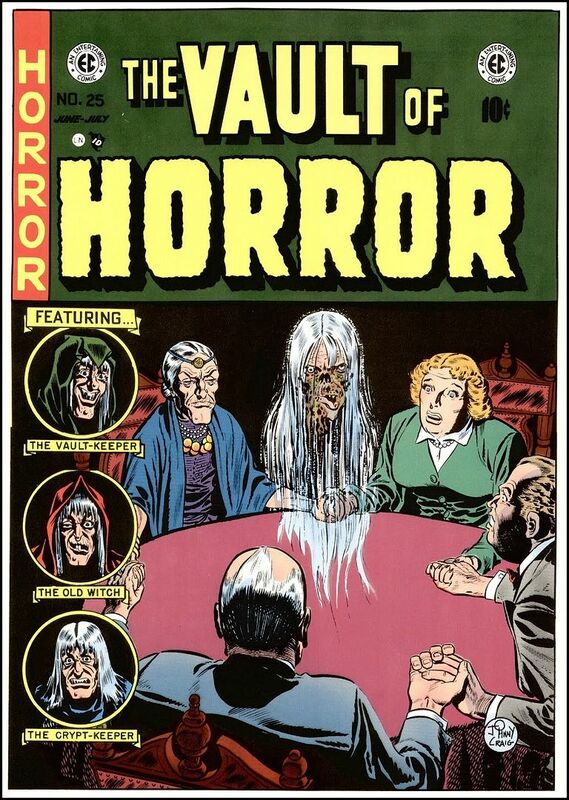 The old show script used by the Ghost Host on the "Story and Song" souvenir album makes it even clearer: "We're about to participate in a séance," he intones. 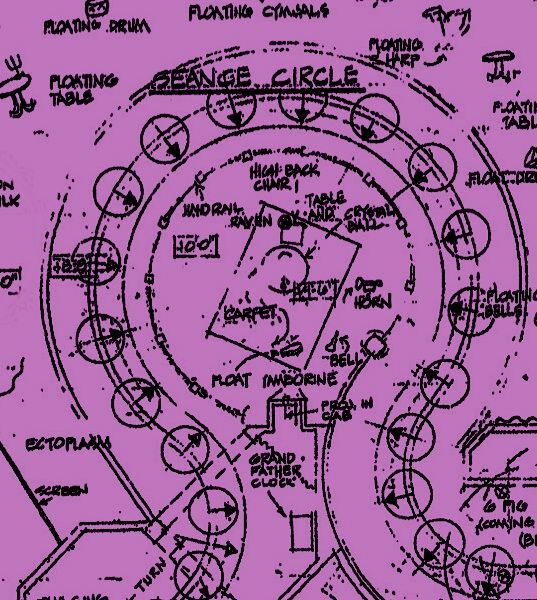 Note that it's always been called the Séance Circle, not the Séance Room, and perhaps this best explains why our "sympathetic vibrations" give a serious boost to Madame Leota's efforts. Raise your hands if you've never noticed that. Okay, put them down. I feel better. One reason I missed it, I suppose, is that the medium in this case is not sitting at the table like we are. 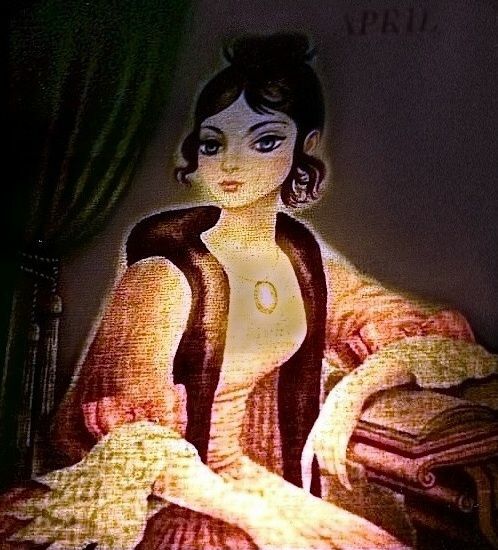 The comic irony is that Madame Leota is herself a ghostly manifestation. She's opening the doors from the other side, you might say. The other comic irony is that she says "wherever they're at," and no one seems to mind. 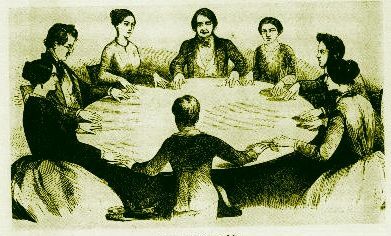 in the middle of the séance table are not unknown to pop culture. "Good Lord, did it actually just say, 'Wherever they're at' "? 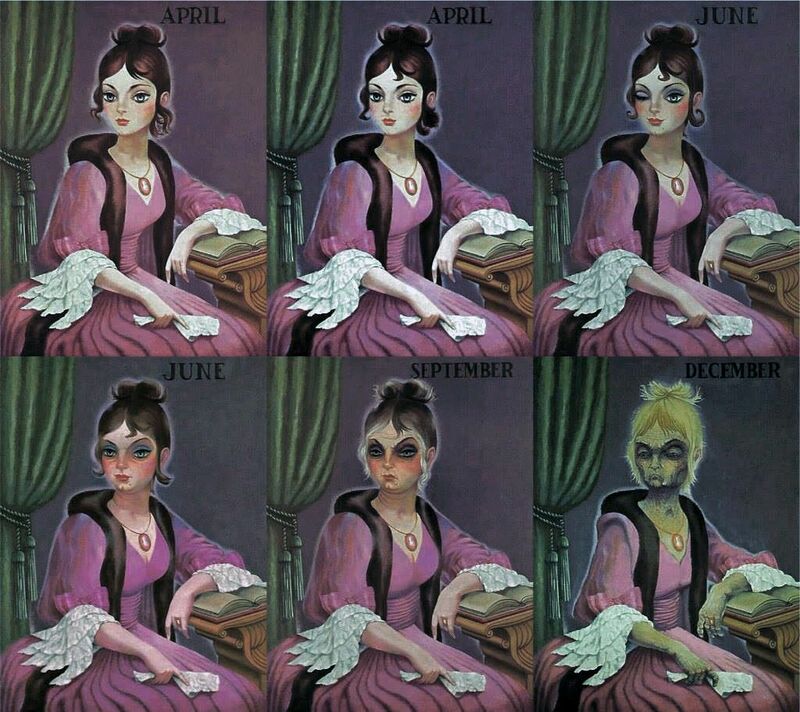 Do You Remember Miss April-December? I do. So do many of you. 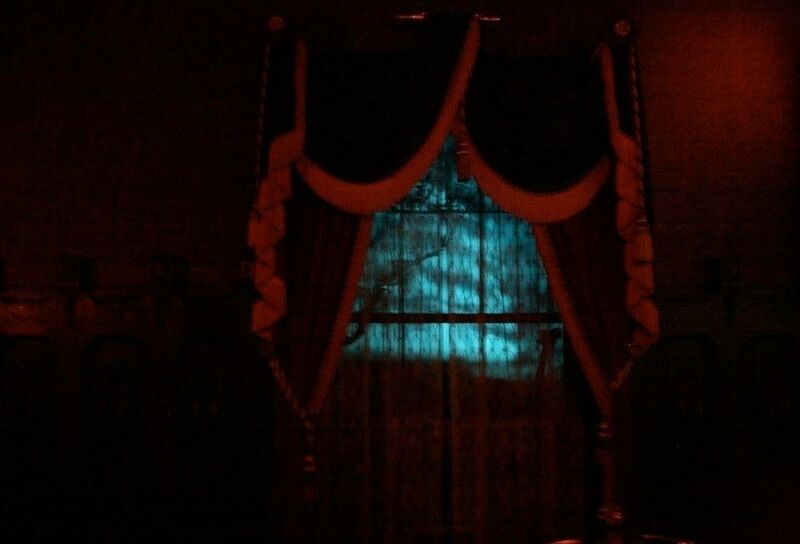 Now that the Hatbox Ghost has returned, April-December has the melancholy distinction of being the only prominent Mansion resident who has been removed absolutely, leaving no trace behind. 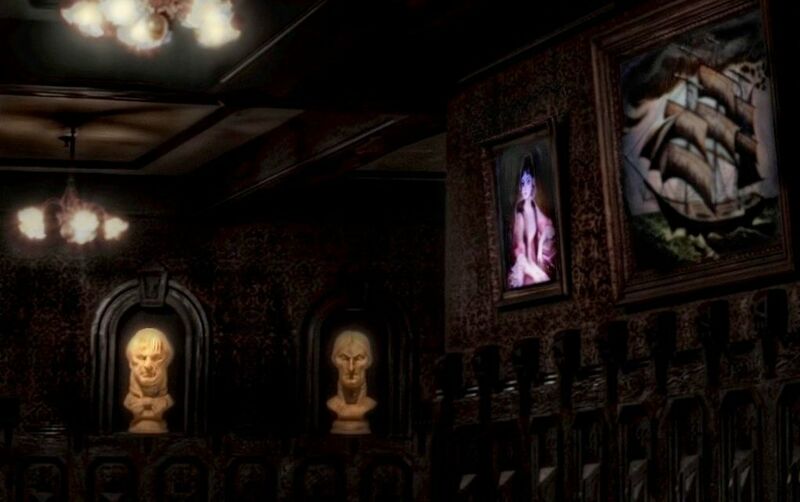 (Purply Shroud is another, and so are the attic popup ghosts, including the blast-up variety, such as you see directly to the right —>, but I don't consider any of those prominent ghosties, much as I like them and miss them.) Purply Shroud got a post. April certainly deserves one too. The more time that passes, the fewer there will be who remember these things directly. Already there are young doombugs running around with no personal recollection of April, having seen her only in pictures and on video, if that much. It's not too soon to put something more substantial on record before she too joins the ranks of the long forgotten. April is unique to Disneyland. 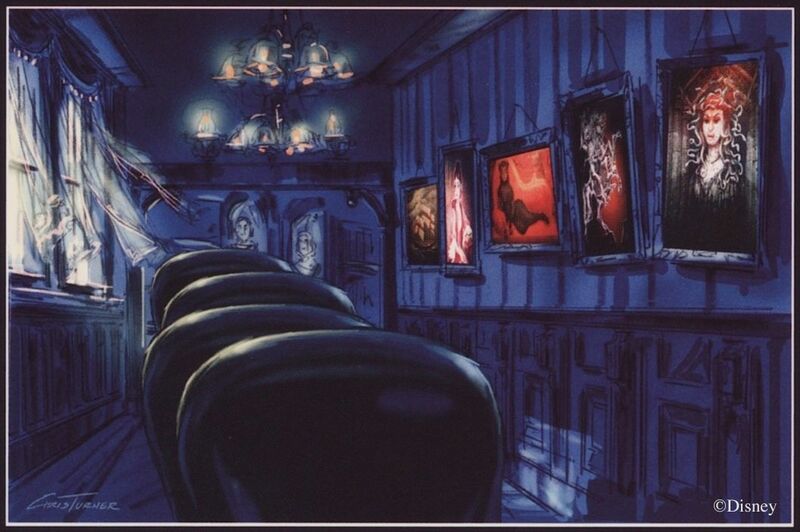 She hung in the changing portrait hall there for 35 years, from opening day until the ride went down for the Haunted Mansion Holiday overlay in the fall of 2004. 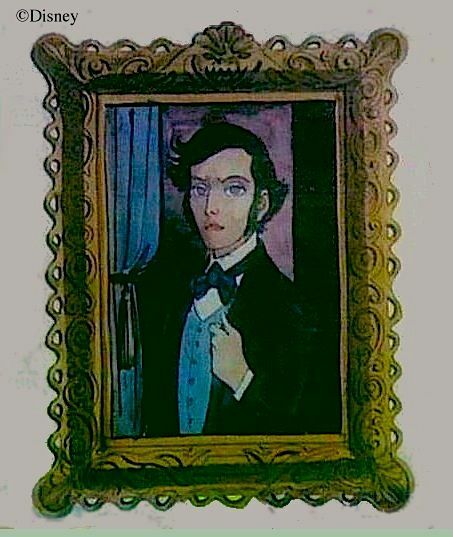 When the classic Mansion returned in late January, the portraits had all been replaced with new ones employing more modern technology, and let's admit it, the new effect is better than the old one—better, I should say, if and when the light levels in the room are properly balanced. The new set of portraits was also different in content. Panther Lady was now Tiger Lady, April was missing from her place on the far left, Medusa had been moved from the middle to April's old spot, and "Master Gracey" had taken Medusa's former position. Gracey was one of the original residents in Florida (and later Tokyo), where he continues to occupy a unique place of honor, but only now in 2005 did he make his Anaheim debut. 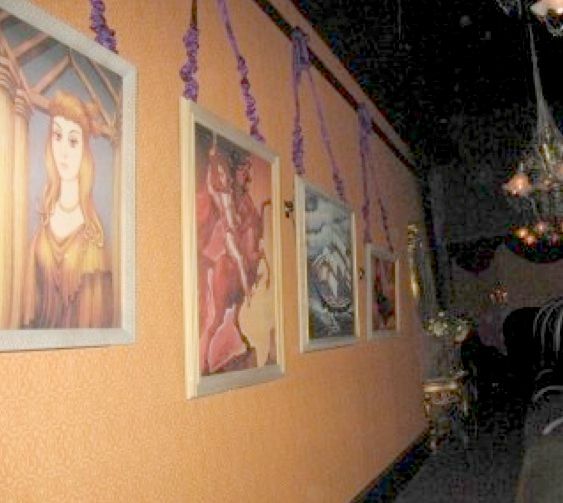 2007, it had only four paintings, plus a table-and-mirror set. 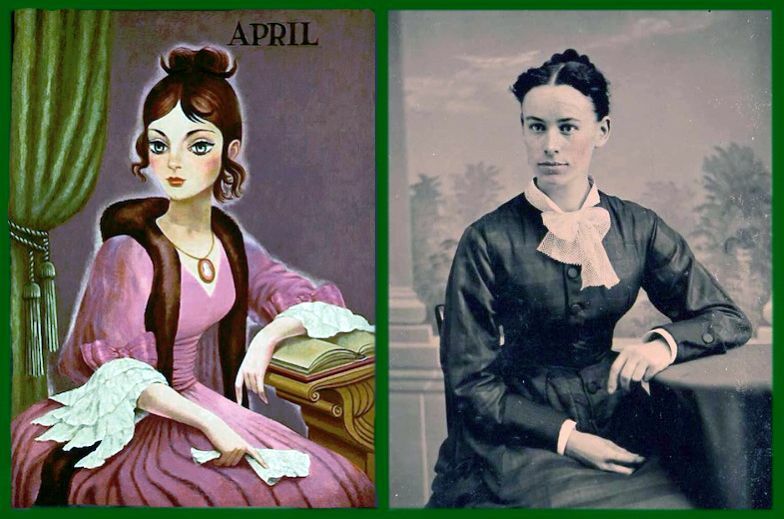 Why was April replaced with "Master Gracey" at Disneyland? I've heard more than one theory, but the simplest explanation may be that the word game couldn't be done very well with the new effect. "April" would have had to be dark, while "December" would have had to be white. Maybe they decided that that would have looked funny. Perhaps this also explains why WDW got a table-and-mirror instead of April-December, assuming that there really were plans at some point to bring her to Florida. 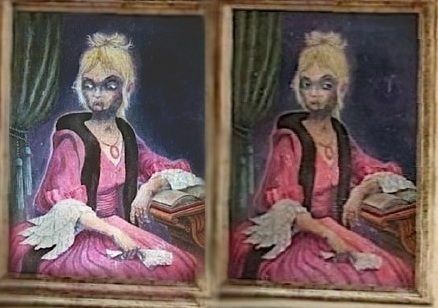 Another thing we have said before is that April - December was originally going to be April - June - September - December, a four-stage show, but all such multiple-paneled portraits were reduced to just two stages, changing with the lightning, because it was believed there would not be time for the long versions. I realize that even the first time around, these were familiar factoids, things many of you already knew, but in November of 2015 we learned something completely new. Before it was installed, the four panel set had actually been expanded to six before it shrunk to two. 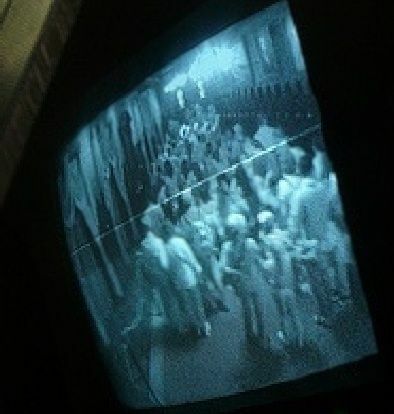 It seems that each group of guests was going to stop in the changing portrait hall and be treated to a distinct mini-show, much like the mini-show experienced in the stretching gallery. January, the next month past the end of the series. I guess it was time to bury her. If you think about it, what we have here is not an illusion but the shattering of an illusion. 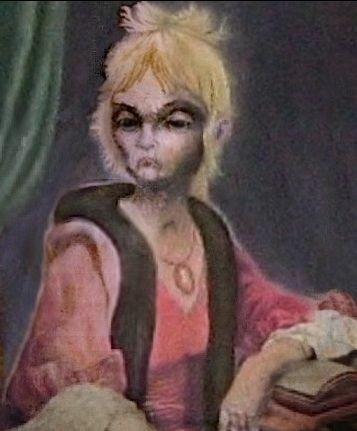 With a typical portrait, you hear stuff like, "Ah, how splendidly the artist has captured the golden moment of youth on his canvas, preserving it there forever," blah blah blah. But "forever young" is a fantasy, right? Here is one portrait that follows the plain truth to the bitter end. indeed cannot. It's the difference between a grim reminder and a brutal shock. 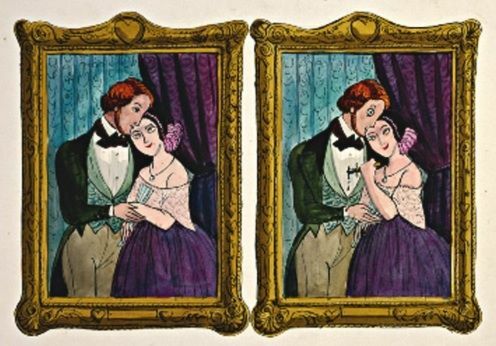 those original Marc Davis concept sketches. Why? Because she's the only one of the four without any sort of afterlife in the Disney parks, and a ghost without an afterlife? Tain't natural. 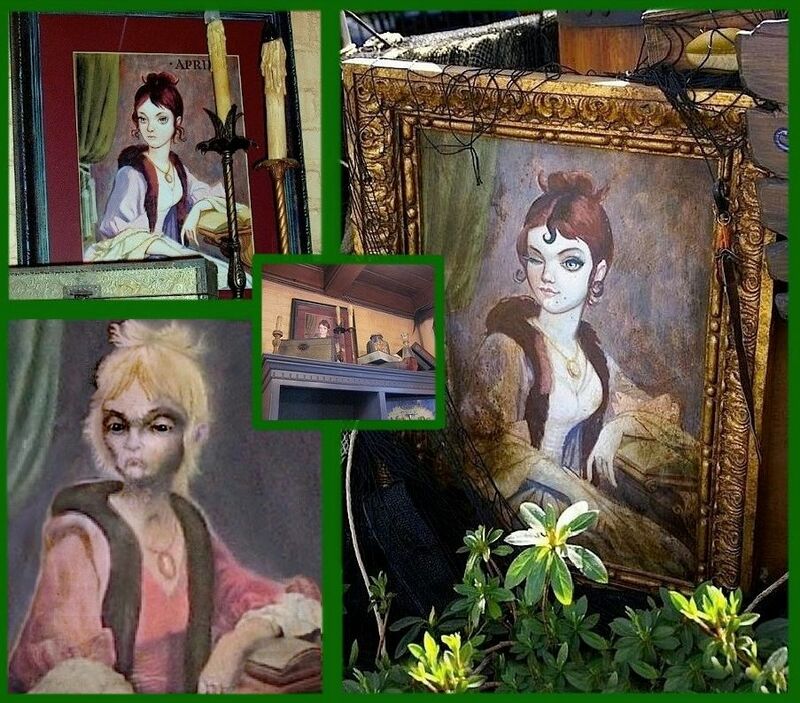 You see, not long after April was removed, a copy of her Marc Davis portrait appeared in a New Orleans Square shop on top of a bookcase, a poignant tribute to the lost character. 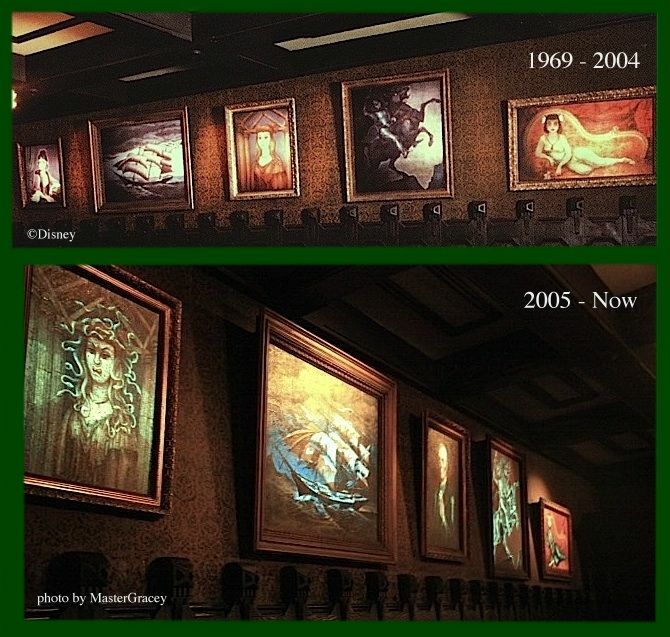 (It's now been joined there by Davis sketches of various stages of Medusa, which waters down the tribute, IMO.) As for June, she finally made her Disney debut as part of the pirate swag on display at the temporary outdoor pirate stage where they had live entertainment for awhile. Didn't last long, but at least June had her moment in the sun (literally). And December? She's always had a twin at WDW and Tokyo, one of the "Sinister 11," and as such she's still there. So three of the four have enjoyed some sort of presence beyond the walls of the Mansion, but alas, no love for poor Miss September. Consider this a corrective of sorts. Let us propose a toast. This one's for you, Miss S. Cheers. You know, in some ways, I think she has the most interesting face. What is she thinking? In April's case you might guess that she's not thinking at all, but that's impossible with September. 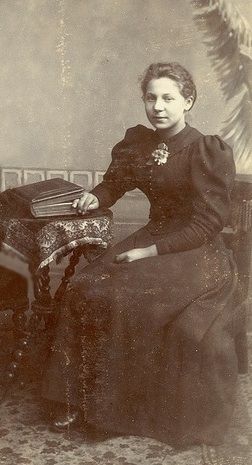 She's lived too long not to have learned something. full of dark, stormy weather. They're mesmerizing mini-masterpieces in themselves. The corridor before you looks longer than it really is, thanks to that favorite Imagineering trick, forced perspective. 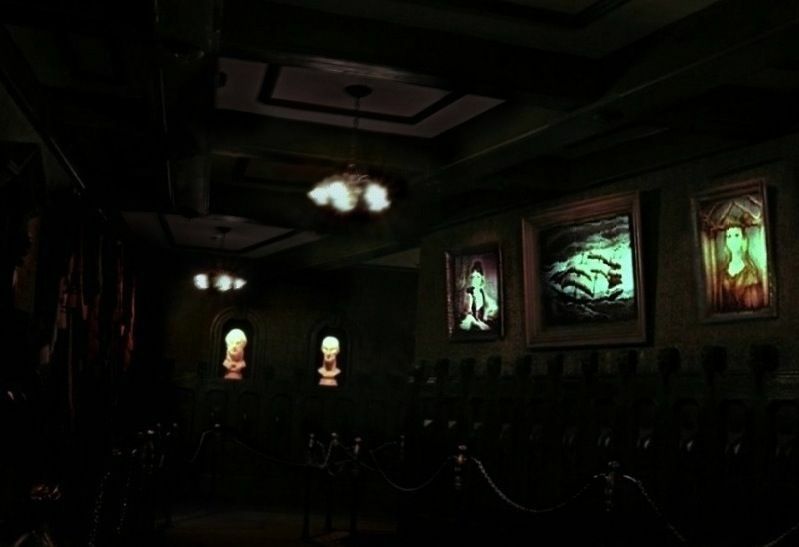 The music is eerie, the thunder crashes, the paintings silently do their best to unnerve you. 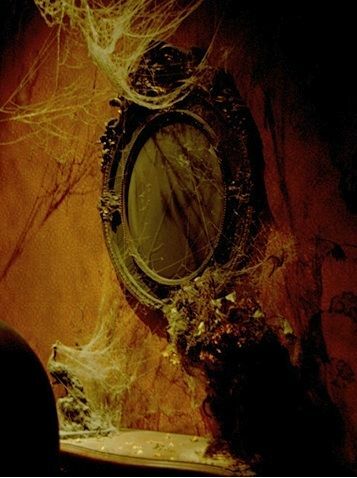 At the end of the hall the busts are scrutinizing you in a most unfriendly manner, and down there you also see a corner to be turned, beckoning you onward to some place as yet unknown. If you manage to be last in your group and lag behind (you naughty, naughty guest), letting all the others go around the bend, then you can sometimes have the hall to yourself for a few moments. Mmm. Mighty fine. You stand there all alone in one of the most immersive atmospheres the park offers. Big Brother is watching you, though, so don't overdo it. Reluctantly you turn and begin again to approach that corner where you will make the turn. Sorry if I've said it before, but if there's a place in the HM where you can almost make yourself believe it's all real, then surely this is that place. It was April's place. I like to think she's still there, unseen, and I have to admit to a little stab of resentment when I see Medusa occupying her spot. 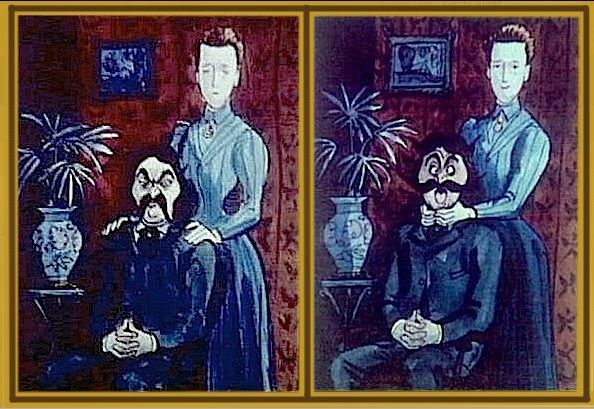 The drastic abbreviation of the original changing portrait sequences affected some of their interpretations. Most glaringly, what had been a ghostly Flying Dutchman manifestation became simply a nice ship getting ripped up by foul weather, as we have seen. But April-December also underwent a change. 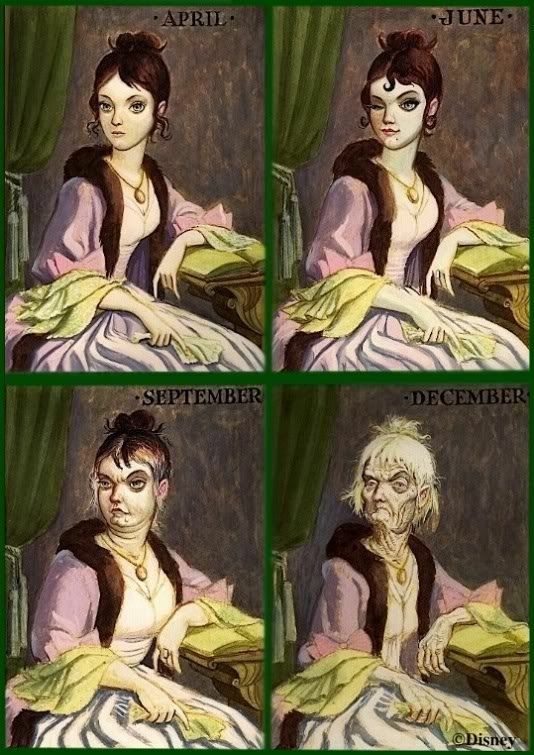 The full, four-panel sequence is clearly a statement on the brevity of youthful beauty, as a young lady's life is allegorically reduced to the span of a single year. But that's not how I read it when the effect was new. Contrary to what you might think, the word "December" was perfectly readable even in the lightning flashes, but by its very nature the effect in its original presentation disallowed you a good close look at the December phase. I thought it was a corpse, and I thought the point of it all was that someone young and beautiful in the month of April could be (and in this case would be) a rotting cadaver before the year was out if Death should happen to pay an untimely visit. "This was her in April, and this was her by December." Funny thing is, even after you get a good look at December, I'm still not sure that that interpretation can be ruled entirely out of court. 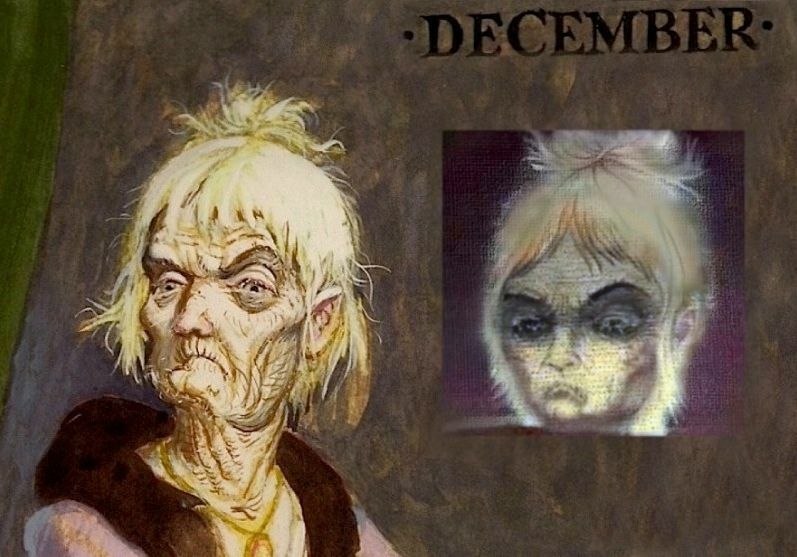 The difference between Marc Davis's concept sketch of April and the portrait actually used in the ride (painted by Ed Kohn) is slight . . .
. . . but the two Decembers are noticeably different. To me, Kohn's December looks more necrotic. 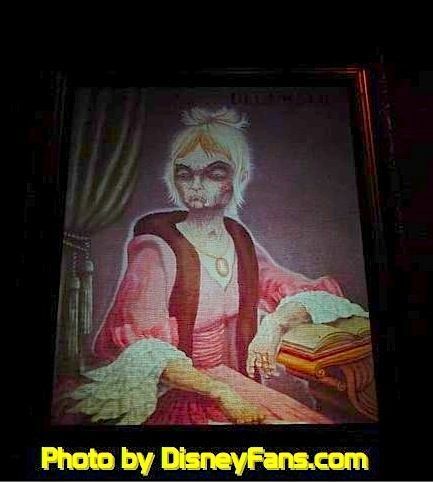 The WDW hag was given "living" eyes, so she's alive, no question. looks like she could represent a corpse as easily as an old lady. The fact that she's dressed and sitting up doesn't mean anything. 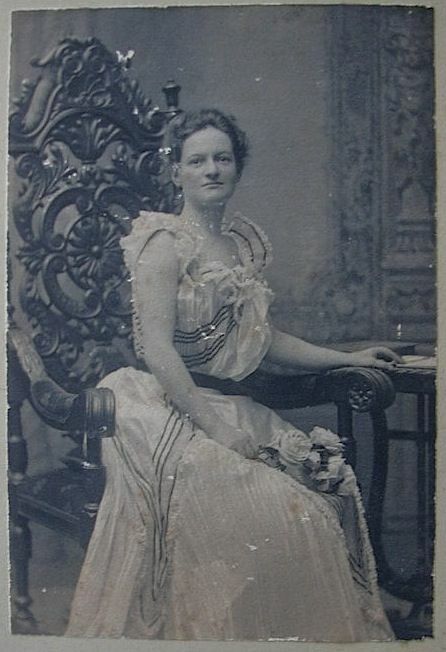 If December is in fact dead, it would make April-December a female counterpoint to "Master Gracey," who also winds up as a corpse at the end of the line, even though the skeleton is still maintaining the original posture. This is prophecy and symbolism we're dealing with. And note that when April-December was evicted, what was it that took her place? Might that be because "Master Gracey"
represents exactly the same idea? 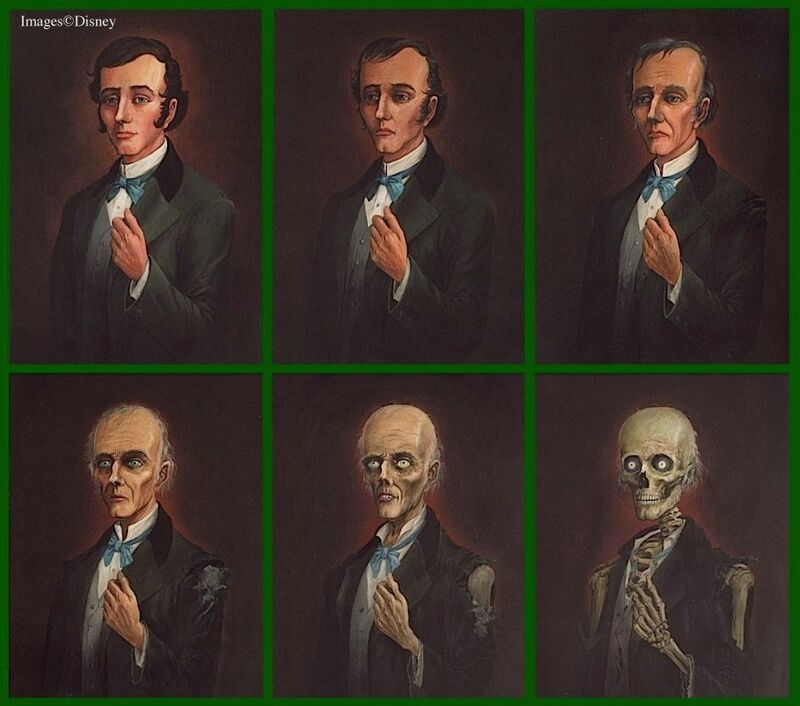 In the Disneyland version, he flashes back and forth from panel one to panel six. going to press the point very hard. Let's just say Ed Kohn's December is probably alive, but it's possible she is not. Well, let's leave off the speculations about December's health and turn to something more typically Long-Forgottenistic. The direct inspiration for April-December used to be a wide open question, but a credible claim can now be made that April's prototype has in fact been found, so in this case, that question is, for many, closed. This includes your blog administrator. There are broader things to consider, however, than direct inspirations, like cultural parallels and such. LF stuff. 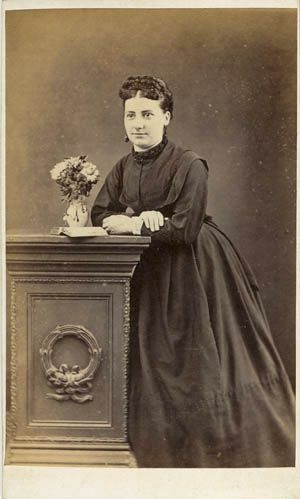 The pose is typical of Victorian portraiture, especially in photographs. 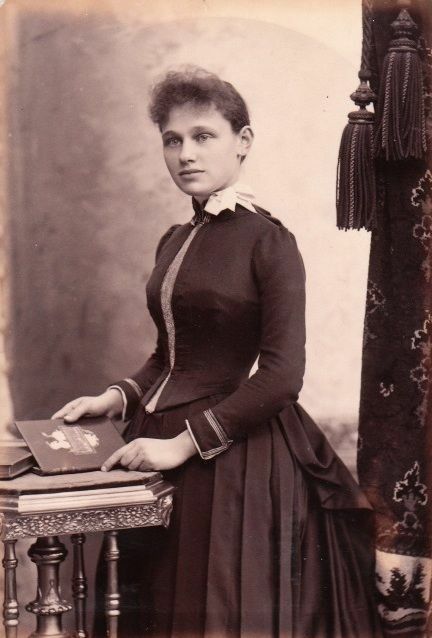 Young ladies and old frequently have their hands on a book (suggesting intelligence, education, and well-breeding), and you see heavy drapes, nice little tables, and dainty objects in the hand—all clichés. These are fun to look at anyway. 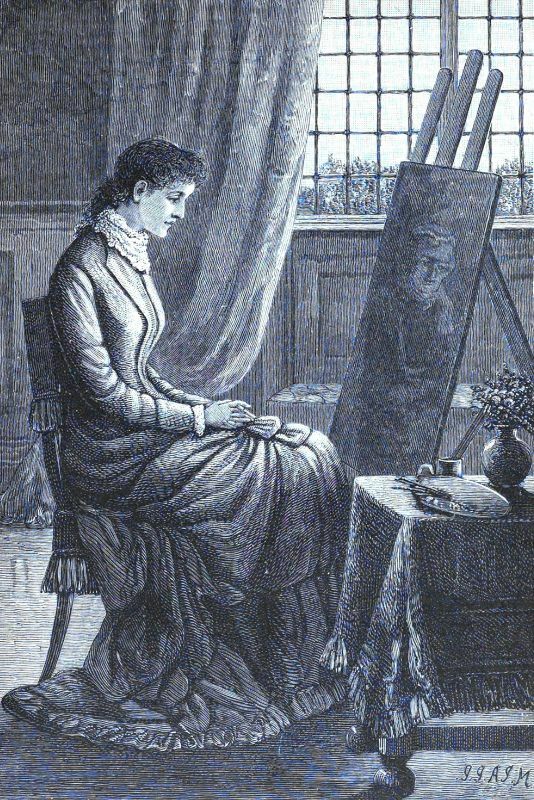 This melancholy illustration from Quiver magazine (1889) is close to our theme. 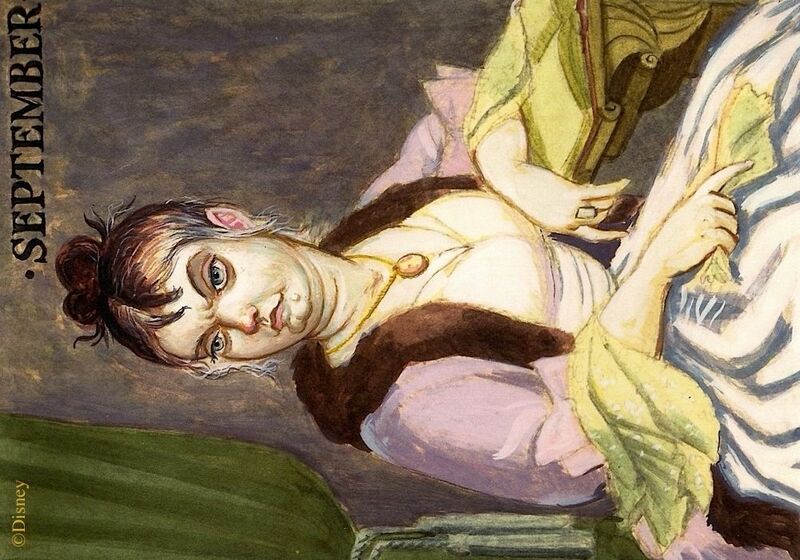 A young lady appears to have painted a portrait of herself as an old woman. If I'm reading this cartoon rightly, the point seems to be that some beautiful young women (center) retain their looks quite well into middle age (left), but others . . . not so much (right), and it's hard to predict which way your particular belle may go. 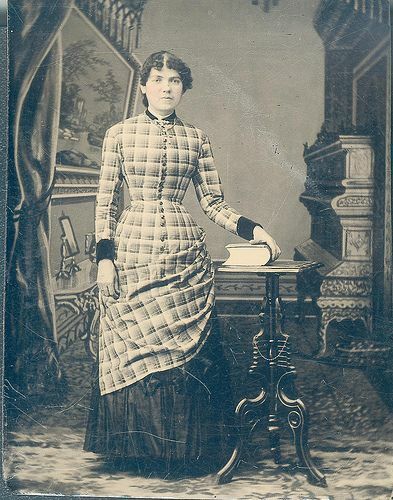 (Yes of course it's sexist; it's 1880.) 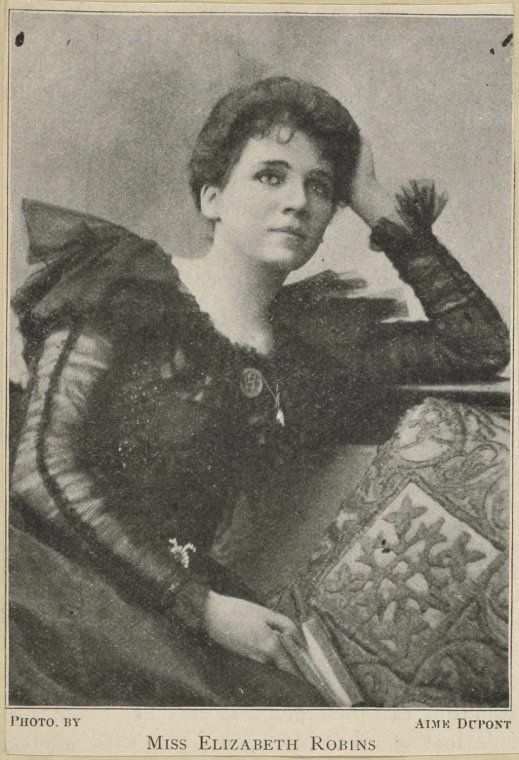 It does bring up an interesting question: does the particular poignancy of April-December derive more from her loss of beauty or her loss of youthfulness? The safe answers are (1) "both" and/or (2) "the two are inextricably mixed." But if I had to choose, I'd say "youthfulness," because September in Marc's original four is not particularly bad looking. She may not be a beauty queen any more, but she's certainly not a hag. Even December in Marc's rendering is just about average-looking for a woman in her late 90's (I've done part-time work as a Resident Aide caretaker in assisted living centers for years, and my own Mom is 95, so believe me, I know what women in their late 90's typically look like). "Loss of youth" makes the painting's statement more universal. 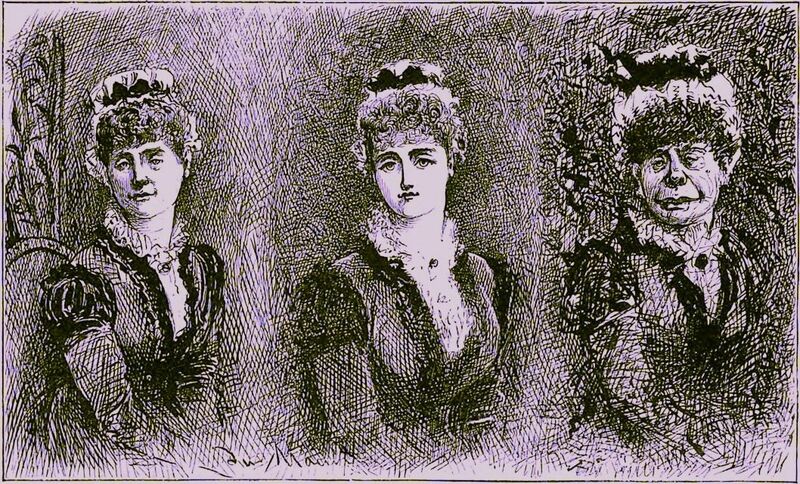 As the Punch cartoon shows, some of us carry our years better than others, but eventually there's only one destination. 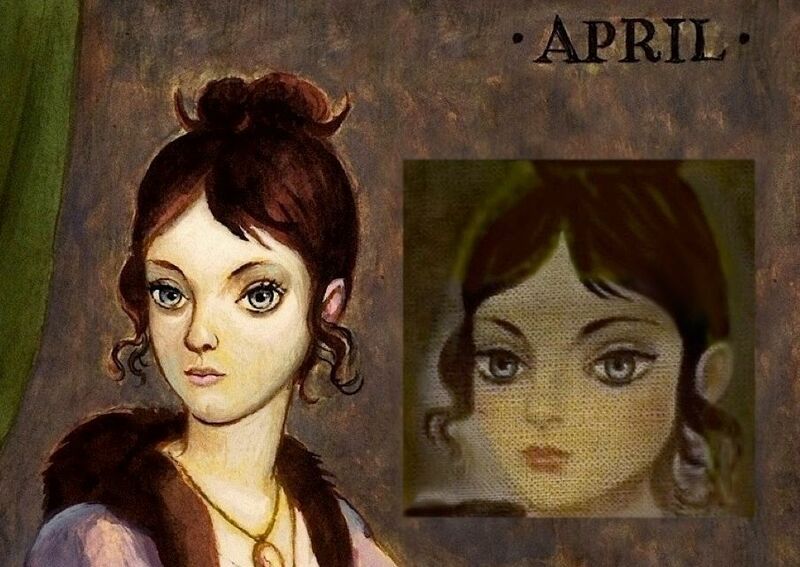 Ed Kohn's rendition of April is lovely and fascinating. 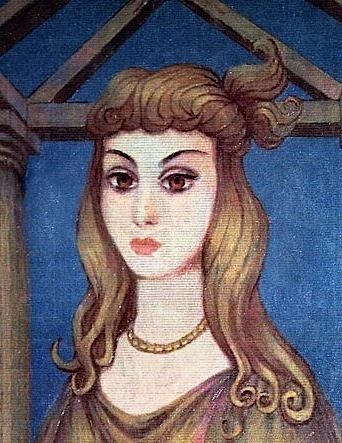 I find her far more interesting than the girl who turns into Medusa. That message is pretty straightforward: Beneath a soft and feminine façade may lie something dreadful and deadly. I use "feminine" advisedly, as Davis seemed to like the femme fatale theme quite a lot. 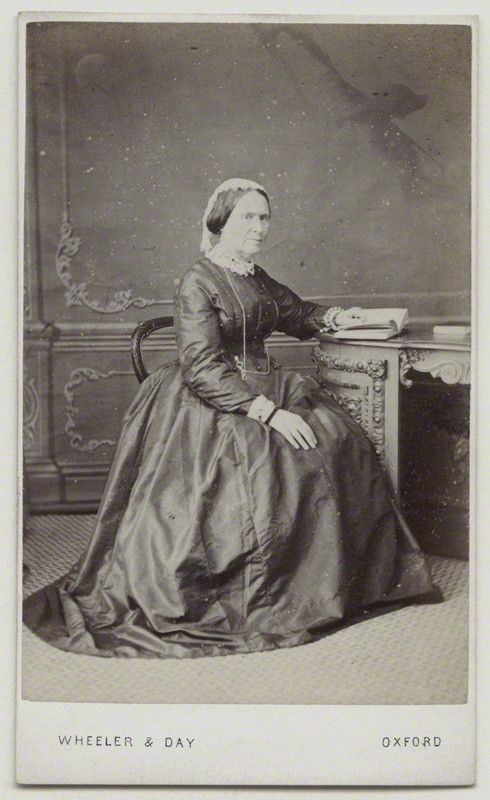 There's the Cat Lady down at the other end of the line, of course, and there are a number of other changing portrait ideas exploiting this general motif that were never realized (even if one of them did turn up among the "Sinister 11", minus the gag). Incidentally, with the gorgon girl, look how skillfully Ed Kohn reduced Marc Davis's first two panels to one. (Reportedly, he worked closely with Davis.) He has reproduced the first panel, but with more unruly hair and the barest hint of a frown in the eyebrows, so there's a taste of panel two in it as well, just the faintest whisper of the monster to come. Why 'd it have to be snakes. But April is not a monster in waiting. She's like "Master Gracey," but without the smugness that loses our sympathy. What is she? Look all you want: Not only can't you tell what she's thinking, you can't even tell if she's thinking. She could be sleepwalking through life, unaware, like the Tightrope Girl, but without the humor, without the surrealistic and cartoonish denouement following the introduction. There's nothing funny here. She's something like the unused "corpse bride" portrait, but without the suggestion of a specific and tragic background story. April is the new "Hatbox Ghost." Fare thee well, April, wherever you are.